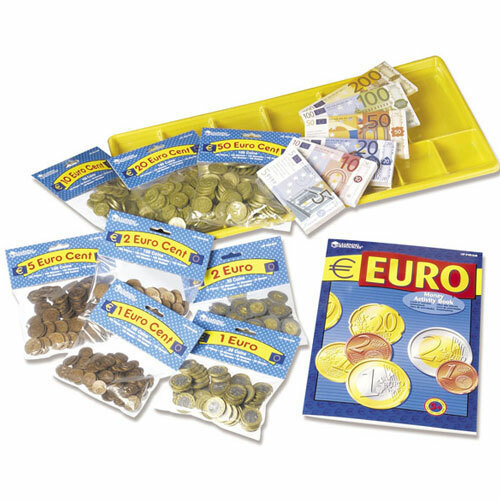 This Play Euro Money Classroom Kit contains everything you need to teach Euro money in the classroom. 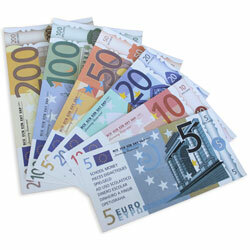 The play Euro notes have a realistic appearance and size. 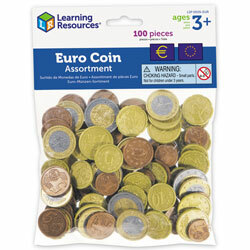 The collection of play Euro coins even simulates various international Euro coin backs. 100 each of 1 Euro cent, 2 Euro cent, 5 Euro cent, 10 Euro cent, 20 Euro cent and 50 Euro cent coins; 50 each of 1€ and 2€ coins. 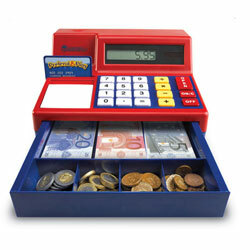 A multilingual, 64-page, photocopiable Activity Book and a large (47.5cm x 25.5cm) money tray with lid for easy storage are also included.